The internet is a pretty hilarious place at times, and made funnier when one can take the higher ground on issues or jibe with tongue firmly in cheek. We’re usually right in the middle of it, but around March of every year, we’re unable to take said higher ground. Now, we don’t want to generalise, but (wait for the most generalised statement you’ll likely come across today), Americans: please stop saying Patty when you mean Patrick or Paddy. It’s infuriating, silly and we’re just a touch protective of our national holiday, St. Patrick’s Day on March 17th, and don’t like it being bastardised. Last time we checked, a patty was a burger, not a saint. Now, there are plenty of social media accounts that will correct every instance of that, so Patty shaming isn’t our business. We’d rather spend our time face-down in food than telling people off, so we’ve decided to embrace the bullshittery and create a delicious twist: the St. Paddy’s Patty, an Irish-style burger that you can happily heap into your mouth on St. Patrick’s Day (or any other day of the year you’re feeling particularly emerald green, really). Now, Americans, ya happy? Please only use this going forward when you want to confuse Paddys and patties. Ireland has an interesting history with burgers. Two chip shop staples are spice burgers (finely ground beef with added spices in a breadcrumb coating and deep fried until golden and crisp) and batter burgers (name says it all, a regular beef burger covered in a thick batter and deep fried). 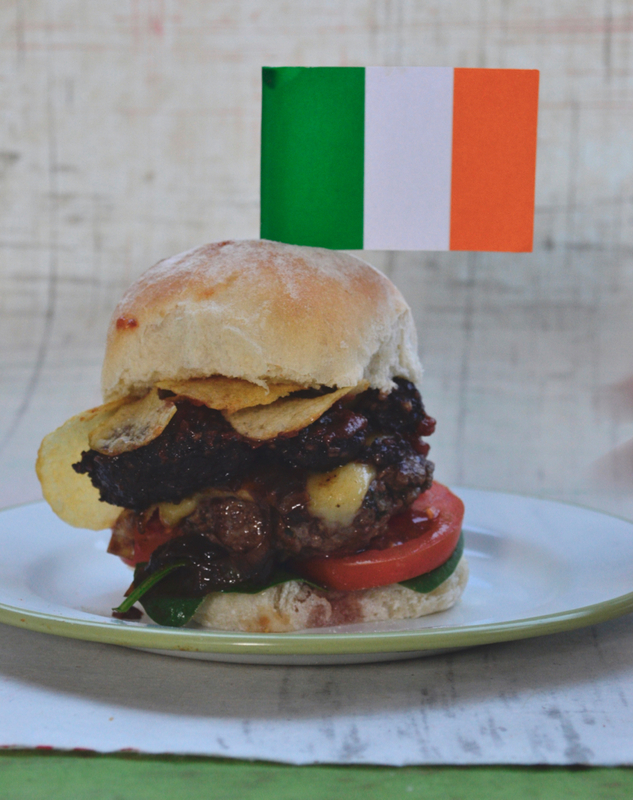 But in the traditional sense, there isn’t a “burger” that celebrates Ireland as much as our patty. 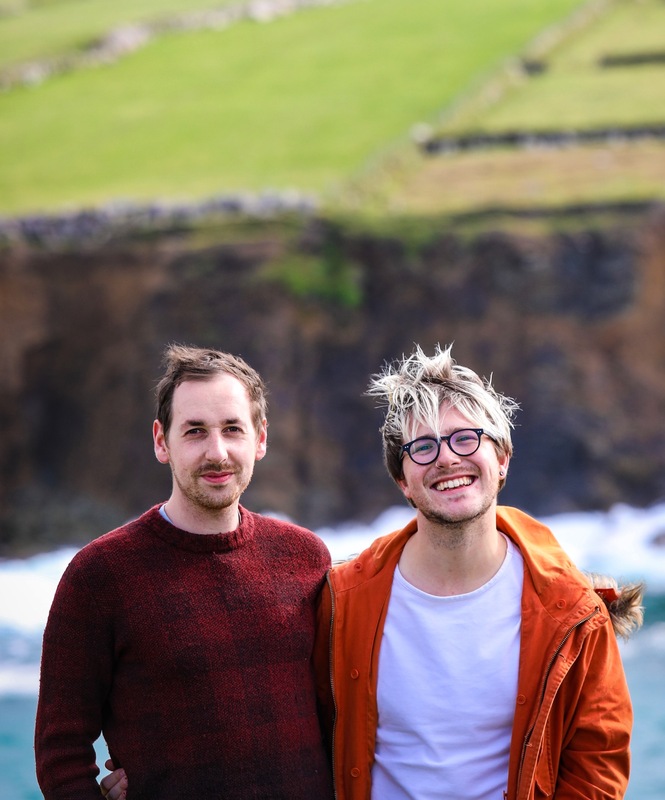 The Irish cuisine is rather simple; provenance is everything and flavour is key, so there’s lots of salty flavours, fragrant, just-cut herbs and some of the finest meat the world has to offer. Our burger follows this simple ethos, which allows the toppings to add extra melody to this delicious song of meat and bread in hand-held harmony. McDonald’s recently have created a burger in Ireland called the McMór, and credit where credit is due, does celebrate some of the best Irish produce about. 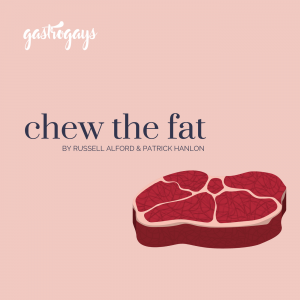 But we can’t get it over here in London and we’re not the biggest fans of fast food at the best of times, so we thought about making our own version, and in typical GastroGays style, we’ve put our own twist on it (yes, we’ve added Tayto to it, did you expect anything less?) For the toppings, we’ve used (and suggested) some amazing quality Irish produce that’s easily available in most cases across the Island, but in some cases, in retailers worldwide. Like many of our recipes, we give a basic instruction and let you jazz it up yourself. It’s how we cook. It’s how we think food should be. Cooking is instinctive and led by flavour and personal tastes. Do what you like and cook to satisfy your own tastebuds, not to follow someone else’s recipe. 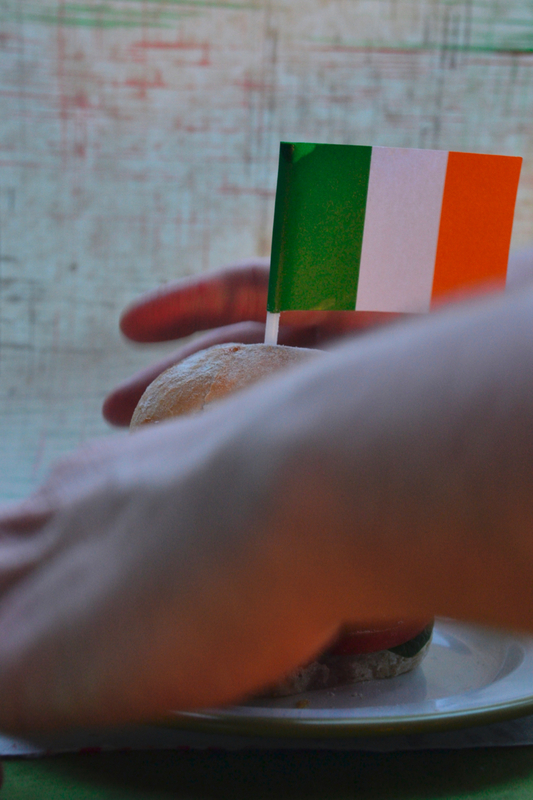 With regard the blaas, we won’t lie to you, they are a bit of an effort. If you are lucky to live around Waterford, go out and buy them. If you don’t, there’s no harm in buying the likes of a good quality brioche bun (such as St. Pierre Brioche Burger Buns, widely stocked in the UK), or a freshly baked bun from a bakery. 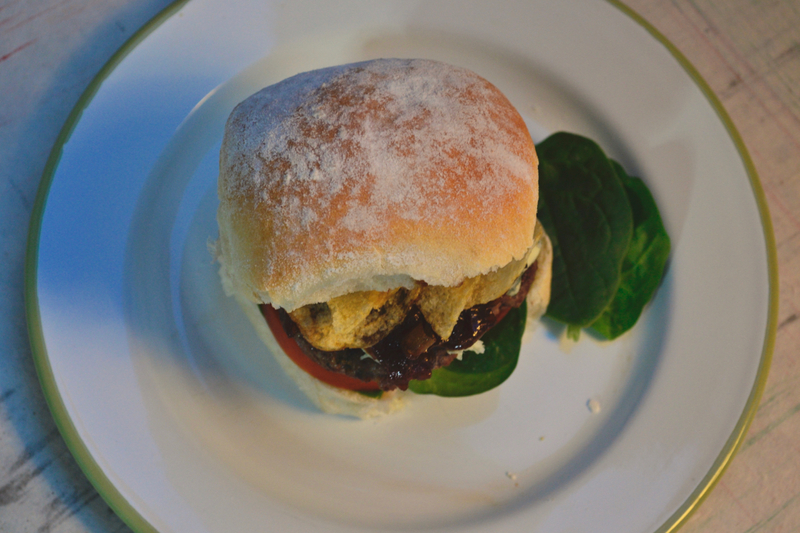 We’re merely suggesting what we think is best and we think these are the best burger bun to come out of Ireland. Yes, we know you cannot technically call these blaas as, like Champagne and Parmesan, it’s a product of protected origin meaning it has to be produced in the area it’s from, so these are our take on blaa-like bread rolls. 1. Combine the yeast and sugar with the warm water in a jug, give a good stir to combine and leave to rest and bubble away for 10 minutes. 2. Meanwhile, add your salt to the bread flour in a large bowl. We make our blaas in our stand mixer, so we simply add this to the KitchenAid bowl, but these can easily be made and kneaded by hand. 3. Add the liquid mixture to the dry in the bowl and combine until you get a sticky dough. Knead for 15 minutes (or using the dough hook on the stand mixer for ten minutes) until smooth and no longer sticky. Place in a very lightly oiled or sprayed bowl, cover with clingfilm and allow to prove until doubled by half or for an hour or so. 4. Knock back well and allow to rest for about 5 minutes as it will make shaping easier. 5. You will get about 800-825g dough from this mixture, so we judge that at about 12 good-sized sliders at 65-75g each or six very generous burger buns at about 130/135g each. When we’ve cut down our dough to size, we quickly weigh each piece to ensure uniformity. 6. Once shaped, place in a casserole dish or large baking dish that’s been lined with baking paper and a light dusting of flour. Allow a little space between each and dust with a coating of flour. 7. Allow to prove again, covered, until doubled in size. Meanwhile, heat the oven to 200°C. 8. When ready, take off the clingfilm, gently rub each blaa with a small bit more flour and bake in the middle shelf of the oven for 15 minutes. Check it after 12 just to make sure. They are done when they’ve risen, lightly coloured and tapping them draws a hollow sound. 9. Allow to cool on the hob in the dish they were baked in, covered completely by a damp but wrung tea towel (this ensures the crisp buns when leaving the oven turn into soft, pillowy bread rolls once they’ve cooled. 1. Heat the oil in the saucepan on a medium heat, then add the onions. Throw in the salt, and stir them around every so often to avoid them catching at the bottom of the pan. Any onions that have could be removed using a kitchen thongs if you want. 2. Continue cooking for about 15-20 minutes. When they’ve softened, add the sugar and the Guinness. Give it all a really good stir, as the Guinness will deglaze the plan. Slowly increase the heat and allow to bubble and reduce, until they become jammy and almost sticky. Snapchat Recipe: Guinness Caramelised OnionsA quick recipe from our #Snapchat. 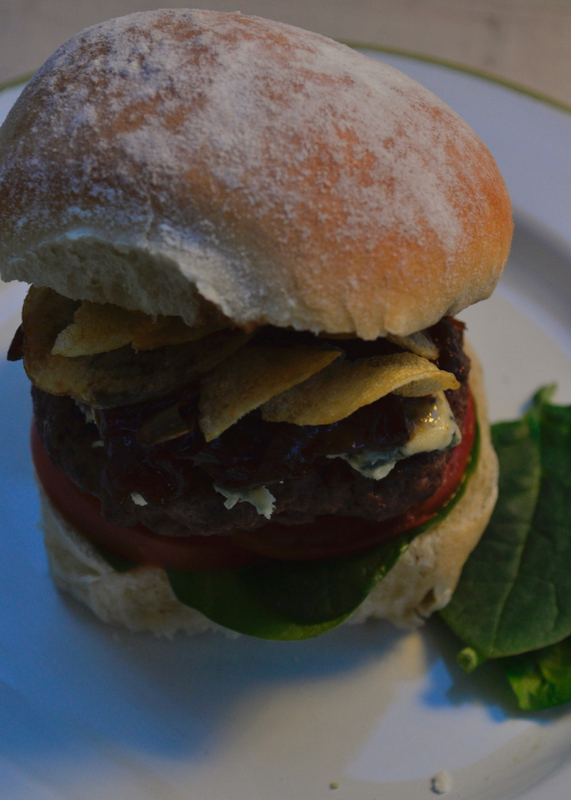 Ahead of St. Patrick’s Day, here is a simple way to make Guinness Caramelised Onions- perfect as a burger topping. ☘ Full recipes online soon! 2. Form into patties of about 3cm/1inch thickness, but if you would prefer them thinner, that’s fine, and you’ll get more for your buck. 3. To cook, heat a large frying pan to a medium-high temperature without oil. 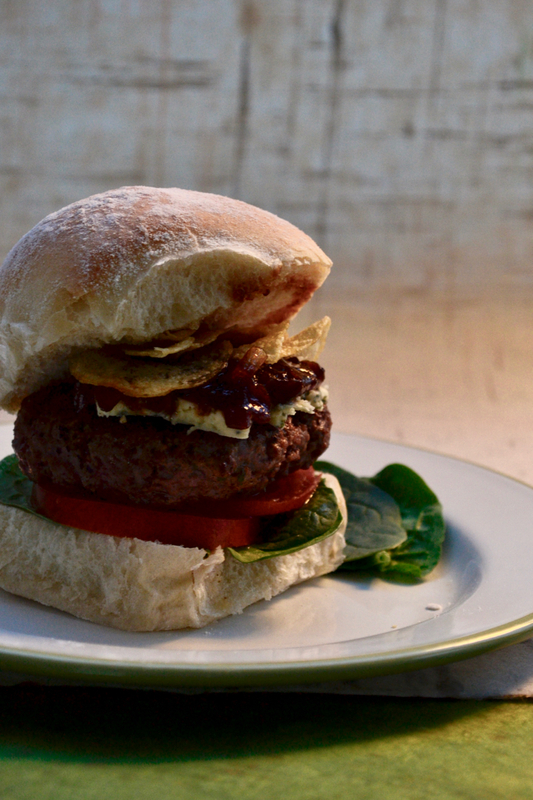 Then place a burger in the pan and using a heavy spatula (or even better, a brick covered in tinfoil á la Nigella that you use only for cooking…) hold down on the burger for the first 10-15 seconds. This technique is known as “smashing” and it pushes out some juices so you get a more caramelised, crusted exterior, but still magically remains moist. Repeat around the pan with as many as you can fit on. Cook to your preferred preference, but we suggest 2 minutes on both sides. 4. If you want melted cheese, top neatly on your patty whilst in the pan, spray or pour a little water (around, not on the burger) and pop a lid on. Wait 20-30 seconds and remove, you’ll find your cheese bubbling and soft. 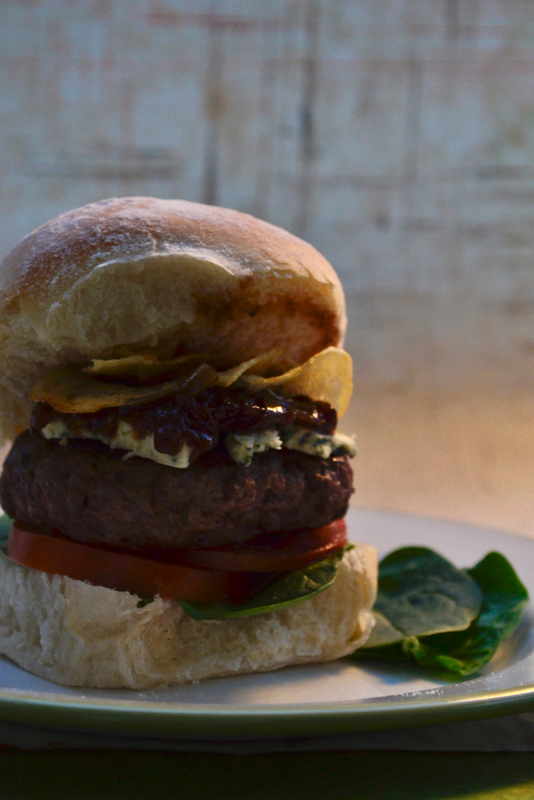 You can serve your cheese cold, we prefer blue cheese kept fridge cold topped on a hot burger. This is where we get less instructional, and more suggestive. Thank goodness Irish produce is held in such high regard the world over, because it means so many brands are relatively easy to get, or in other cases to order in. In the UK, we’re spoiled for choice, with the likes of Ocado having an extensive Irish section, as well as major supermarkets having sections for Irish products, essential to life such as Barry’s Tea and Chef Sauce. 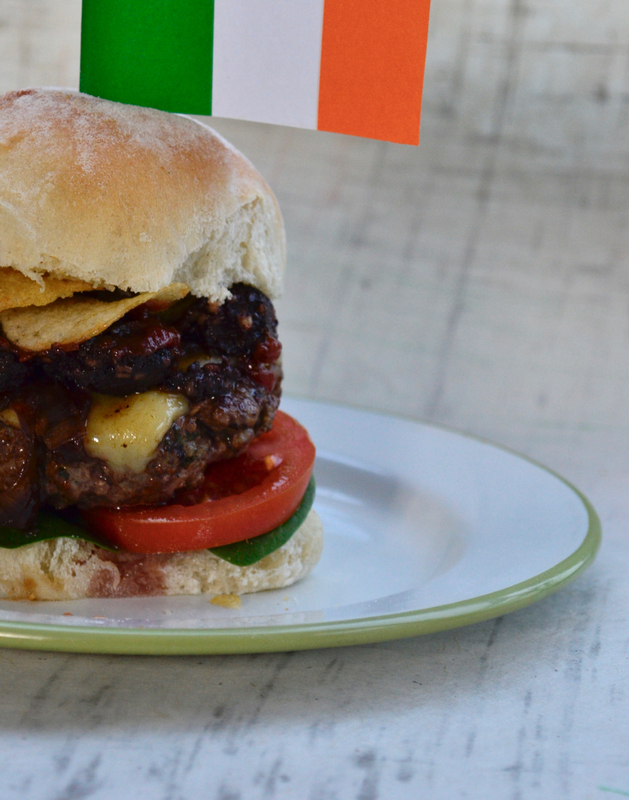 The intention for this recipe is to use the best Irish ingredients possible. 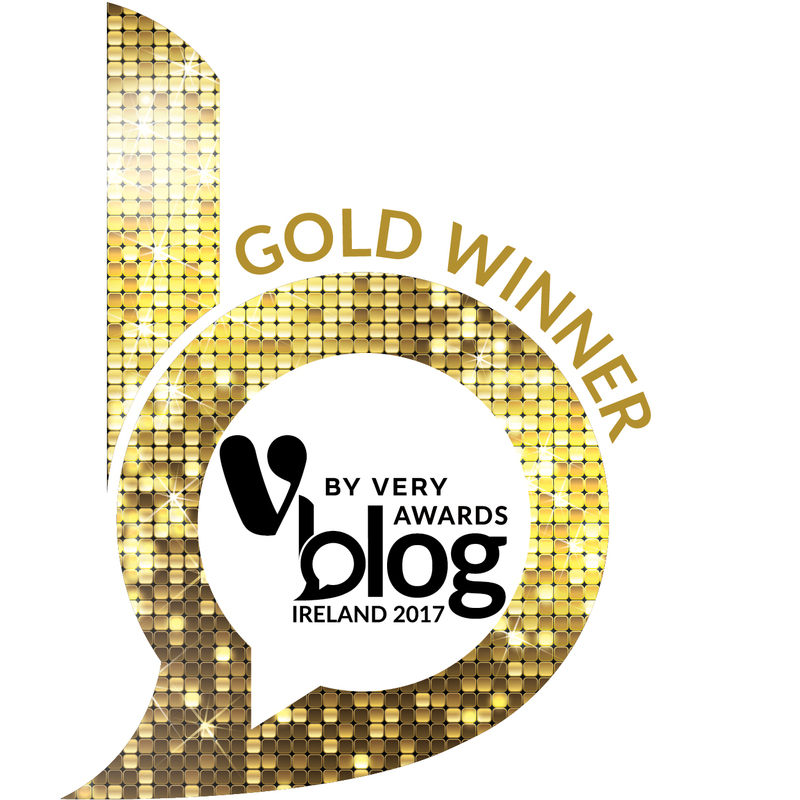 If you’re reading this from the Emerald Isle, go to your local green grocers, market or supermarket that values quality producers – for the latter we really like SuperValu. Find products grown near as best as you can. 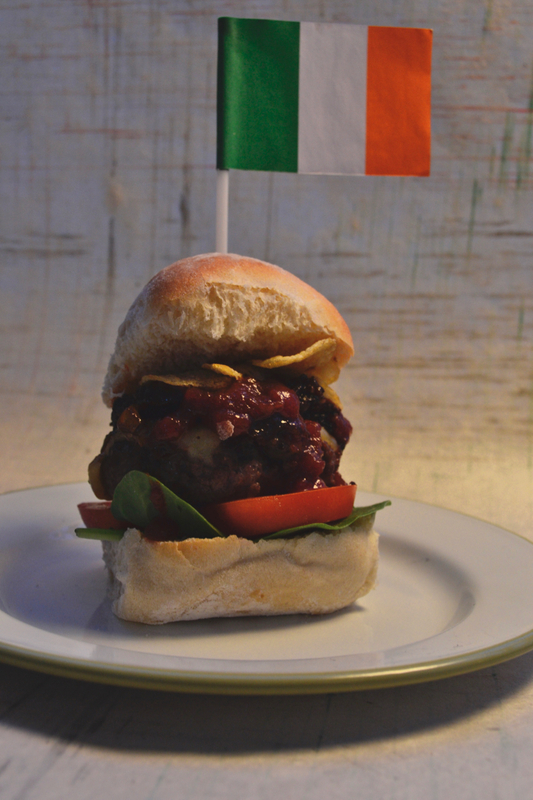 This first version has the Paddy Patty resting on some sliced tomatoes, spinach leaves, and is topped off with some melted Dubliner Vintage cheddar, a spoon of our Guinness onions, a thick slice of Clonakilty Black Pudding, with a few squirts of Ballymaloe Relish. Finally a small handful of Tayto Cheese & Onion to finish it off. The second version omits certain ingredients in place of another, but the flavouring works nonetheless. Replacing the Dubliner Vintage cheddar, we’ve used Cashel Blue, taken away the black pudding and swapped out Ballymaloe for Kitty O’Byrne’s Turf Sauce, a gorgeously smoky and rich sauce. Yes, there is a few Tayto crisps thrown on top of each (you’ll remember our Tayto chicken fillet roll recipe that went viral) and you may think we’re mad. But believe us, that crispy element is no different to having crispy onions on there, yet the flavour is far more intense. That unexpected crunch when you sink your teeth into a juicy burger is truly sensational.